If you are looking to buy a house or a flat in Andorra, or if you have considered the possibility of investing and owning a property in Andorra, you have made the right choice. The Principality is undoubtedly a privileged place for your residence or home. Having a residence in Andorra represents an extraordinary advantage, mainly due to the easy and convenient connections for moving between important cities such as Madrid, Barcelona, Toulouse or Paris. The strategic geographic location of the Principality of Andorra, will allow you to be in perfect communication with these first-rate cities. Finques 3 Cases, your real estate agency in Andorra, will guide you throughout the legal process for buying a house in Andorra. If you prefer to rent a flat in Andorra, we will also dedicate all of our experience and professionalism to making you feel at ease in your new home: Andorra. The Principality of Andorra is located within the Pyrenees and shares its borders with Spain and France. Andorra has a privileged location, due to being very close to the centre of Europe. Andorra spreads over 468 km2, with an average height of 1,996 metres above the sea and its population amounts to about 78,115 inhabitants (data from 2012). The bordering areas are: Spain on the south, with the Catalonian regions of Pallars Sobirá, Alto Urgell, and Cerdaña. At the north with France, with the department of l'Ariège in the Midi-Pyrénées region. The Principality of Andorra is comprised of 7 districts; Canillo, Encamp, Ordino, La Massana, Andorra la Vella, Sant Julià de Lòria and Escaldes-Engordany. The capital of the Principality of Andorra is Andorra la Vella. Barcelona is the second most populated city in Spain and the eleventh of the European Union; it is located on the Mediterranean coast and is considered by tourists to be most beautiful city in Spain. The Principality of Andorra is located quite close to Barcelona, just 198 km, which allows for good communication between the two cities. Trips from Barcelona to Andorra are very convenient; as it only takes about 2 hours by car; there are many daily combinations for travelling by bus; from Barcelona Sants bus station to the bus station in Andorra la Vella, which takes about 3 hours. The city of Barcelona is considered to be a Global city due its transcendence on cultural, financial, commercial and tourist levels. It has one of the most important ports on the Mediterranean and is also an important communication point between Spain and France, due to the precise connections by motorway and high-speed rail. 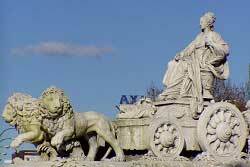 Madrid is the capital and the largest and most populated city in Spain. With 7.1 million inhabitants it is the third most populated city in the European Union, only after Berlin and London. Madrid is an important cultural hub, given that the city houses important museums of international reference such as the Prado Museum, the Centro de Arte Reina Sofía National Museum, CaixaForum Madrid and the Thyssen-Bornemisza, of which the first three are among the 25 most visited museums in the world. Madrid is only 600 km away from Andorra and there are excellent communication links for travelling to the Principality; high-speed rail until Lleida (2 hours) and a bus link from a further 2h30 until reaching Andorra la Vella. 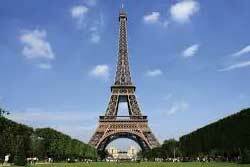 Paris is the capital of France and the fifth largest city in Europe. Paris, along with London is the most important economic centre in Europe. The city of Paris represents the most important and popular tourist destination in the world, with more than 42 million visitors each year. In Paris visitors can also find institutions of global relevance, such as the Louvre Museum, the most visited museum in the world. Paris is 860 km away from Andorra, and the estimated travel time by car is about 9 hours. 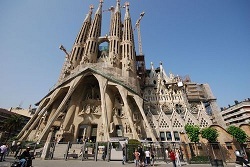 There are numerous flights each day between Paris and Barcelona, with an approximate flight time of 1h40. From there you can take a bus which connects Barcelona woth Andorra la Vella in about 3 hours. 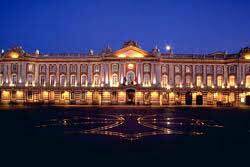 Toulouse is the 4th most important city in France and the 5th in urban extension. It is the capital of the Haute-Garonne department and has an approximate population of 489,000 inhabitants. It is also called the pink city”, due to the predominant colour of its old brick buildings. Toulouse has excellent communication links with Andorra. Toulouse is just 186 km from the Principality of Andorra. By car, you can reach Andorra in less than 3 hours. There are also several bus routes, which travel between Toulouse and Andorra in 3h30.